Chevron should take action to minimize methane emissions, particularly leakage, from the company’s hydraulic fracturing operations. Methane emissions contribute significantly to climate change, with an impact of roughly 86 times that of carbon dioxide over a 20 year period. Emissions of this potent gas from the oil and gas sector – via venting, flaring, and leaking – has the potential to erase the potential climate benefits of burning oil or gas instead of coal. The oil and gas industry is the largest U.S. source of methane emissions. The 2017 International Energy Agency’s World Energy Outlook finds that methane emissions from the oil and gas value chain are among the cheapest to abate of all anthropogenic emissions. Cost effective technological solutions exist and can be deployed immediately to substantially reduce methane emissions in the oil and gas industry. A small number of “super-emitter” leaks may produce a disproportionately large portion of emissions. With advances in infrared, drone, and leak detection technology, as well as more efficient equipment, it is well within the ability of companies to find and dramatically reduce their methane leaks. 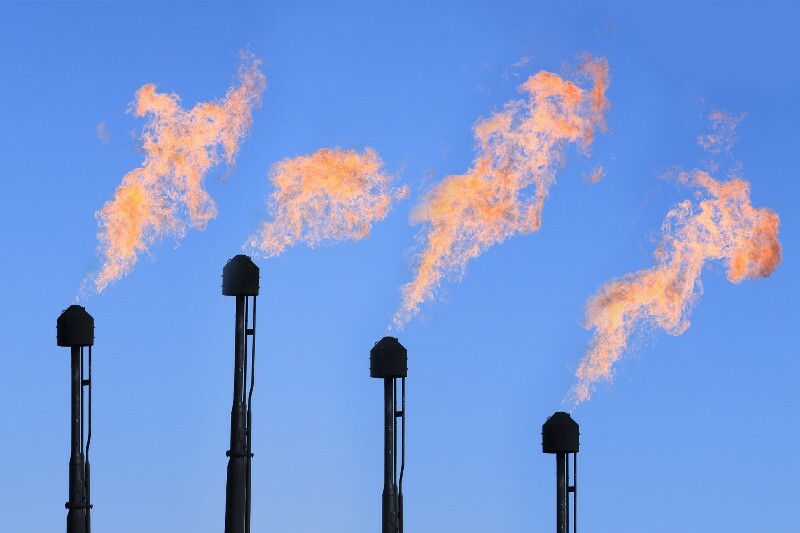 As an indication of the importance of methane emissions, peers including Exxon, Shell, and BP recently committed to a set of guiding principles to reduce methane emissions and improve transparency. The American Petroleum Institute announced the formation of an “Environmental Partnership” to voluntarily reduce methane emissions from U.S. oil and gas operations. A number of oil and gas companies have previously announced adoption of methane reduction targets as part of the ONE Future Coalition. A 2016 study ranked Chevron as 17th out of the 100 highest methane emitters from onshore production. Although Chevron provides broad and generalized statements about its methane reduction activities, it fails to disclose the information necessary to allow investors to assess its leak detection and repair practices based on objective, quantitative information. In a 2017 special methane edition of “Disclosing the Facts” Chevron scored only two out of thirteen points on its methane leak detection and emission reduction management-related disclosures for its U.S. operations. Chevron’s reporting substantially lags that of its peers. Given the intense and growing public scrutiny of methane emissions, Chevron must demonstrate to investors that it is taking action to reduce its methane risk. Disclosure of specific management practices and their impacts, especially with respect to leak detection, is the primary means by which investors can assess how our company is managing this important risk.